We offer extensive audio and visual services, equipment and solutions for events of all sizes, budgets and purposes-from formal business presentations to gala events to large scale multi-media productions. This helps with decision making and helps customers with future events. 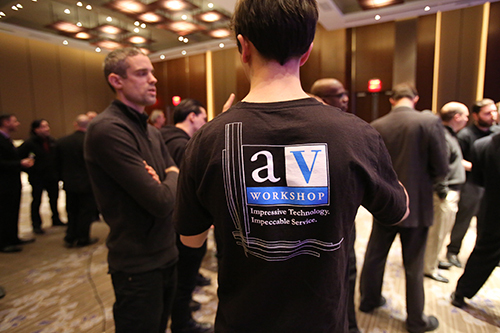 At AV Workshop, we tailor our services to your specific need-whether you want us to handle all event audio visual logistics and provide turnkey support, serve as a supplement to your in-house staff, or simply want to rent equipment from us, we have you covered! For example; if we were at the event and the customer wanted to run it their way, they could just rent and handle it as they wish!